I was inspired to make these from a clay pot snowman project I saw on Hobby Lobby. They painted their scarves, but I decided to use Mod Podge and scrapbook paper. They used clay for the noses, but my faces are painted on. 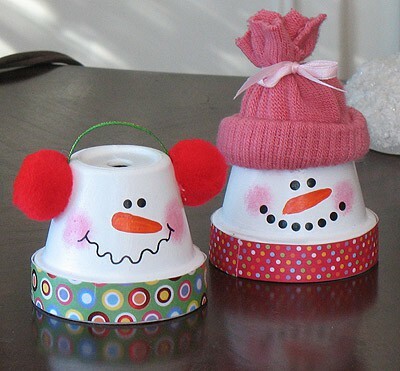 These cute little snowmen would make wonderful teacher’s gifts! And this craft could easily be adapted for a women’s retreat craft or other party craft. Enjoy making your snowman!